Over the past two yearsish, Almond Footwear have kind of been on the down low and back burner, but they are coming back in 2015 with a fresh range of shoes, including a Van Homan signature shoe! Let’s take a closer look at see just what they have coming! Here’s a good flashback Friday for you guys. Almond Footwear re-released this video featuring Daniel Benson talking about his recent move to London and why he loves the city so much. It’s pretty crazy how much can change in five years, but how much can stay the same at the very same time. Check it! “5 years ago when we started Almond we sat Daniel Benson down and talked to him about his recent move to the big city. Benson went on to produce and edit the legendary Albion Magazine and still lives and rides in London, keeping to his word. Head over to the Almond Footwear website to check out an interview with Van Homan that was supposed to run in the UK’s Front Magazine before it went bankrupt and fell through! It’s kind of an interview for a non-BMX riders perspective, but it’s still a good read! Van rules! Looking to get involved with the BMX industry in the product design side of things? Well, here’s your chance to get involved with Wemakethings (the parent company of Wethepeople, Eclat, Almond Footwear, Salt & More) who are looking for a product design intern! Get the full details below! 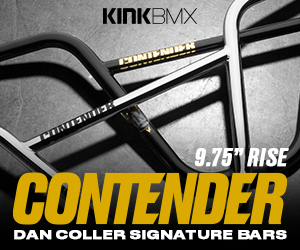 Our company is one of the leaders in the BMX industry with involvement extending over 15 years. The core of the business is still based around BMX bicycles, this includes complete bikes and high-end aftermarket components that are sold around the world. We’re looking for a student who’s excited and motivated in bringing carefully considered and technically brilliant products to reality. Being a small company you will be getting stuck in from the word go, so no tea making here. We will be looking for you to get up to speed quickly with the workflow and then get stuck in with some projects, working alongside other designers to bring products into production. The projects are varied with us owning many brands that have organically grown from BMX, all requiring product design and management. These brands include fixed gear bikes and parts, footwear, clothing/accessories and impact protection all of which is designed here in Cologne. Above all we’re looking for someone who possesses true creative thinking, and has a passion for technology and progressive design. You must have a critical eye for detail, and a natural feeling for what ‘looks good’. Although not crucial to the role, a keen interest in BMX/Cycling and the action sports sector is definitely a bonus. With so many brands and products the workflow is varied and fast, so you need to be able to flick between tasks easily. You will work in a close team of graphic and product designers so a friendly and open personality is a must. Quickly generate original design concepts. Communicate ideas through quick sketches. Develop ideas into 3D CAD designs. Now this is what I’m talking about! 6 minutes of Van Homan riding street, parks and trails along the east coast for Almond! You already know this is a must see! “Van Homan is the all around BMX rider, and he needs little introduction. Instead of a normal welcome edit Van decided to do what he loves best, riding, travelling and BBQ’in. Take a glimpse into how Van lives in this 6 minute video. It looks like the crew over at Almond Footwear have been busy working with Van Homan on his first signature shoe with the brand! Above is a little preview we found over on The Merged! Expect more details closer to the release!